The Canadian Women’s Olympic Team finished their run at the USA Basketball Showcase on a strong note, defeating FIBA’s #4 ranked France 71-63. Canada finished their American exhibition tour with a record of 1-2, losing tough battles to #2 Australia and #1 United States. This will be their last action on the court before heading into the Rio Olympics. Canada’s started with Miah-Marie Langlois, Nayo Raincock-Ekunwe, Kim Gaucher, Tamara Tatham and Miranda Ayim on the court. Langlois led Canada in scoring for the second straight game, adding 13 points while shooting 6/10 from the feild, while also dishing out four assists. 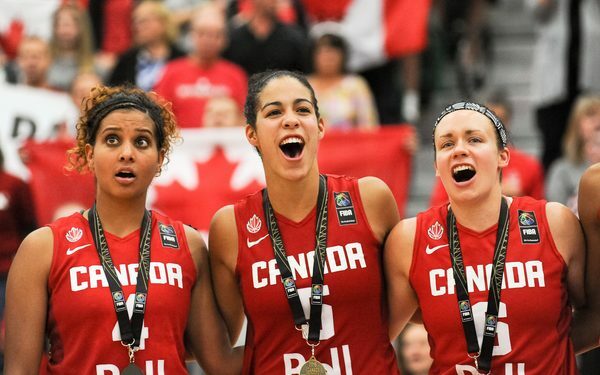 Ayim had 11 points, and Kia Nurse added nine for Canada. French guard Sarah Michel was the game’s top scorer with 16 points. The squad’s next stop is Rio for the 2016 Summer Games, where they will kick off competition in Group B against China on Saturday at 1.15 p.m. EST.